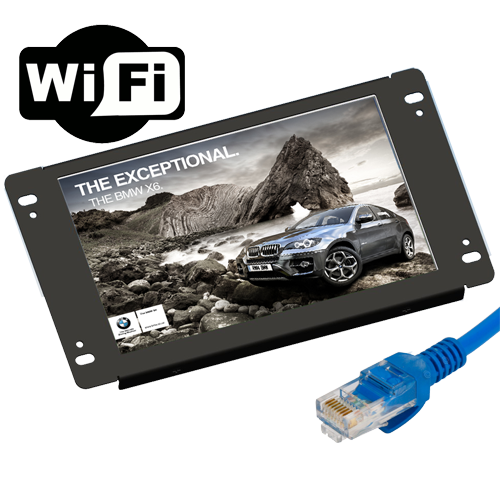 The Lilliput AD701/LAN is a 7 inch open frame 16:9 LCD advert playing system. This high definition screen can stream high definition media from a controlling PC system on your existing network infrastructure. The AD701/LAN system is ideal for the larger store with an emphasis on multiple units running advertisement across a wider area. 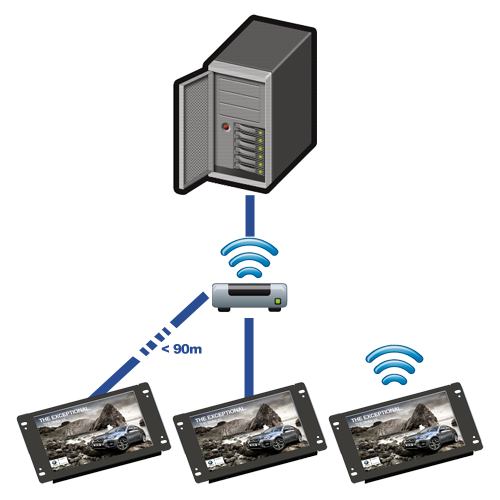 Multiple devices can display either shared content, or each device can display a separate video stream. AD701/LAN uses a purpose built software package operating on a remote server system to stream content to each device either by device or as a group. It's ideally suited for large deployments across single stores such as super market aisles.